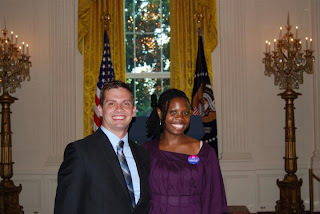 Bi/Pan/Fluid Activists Painting the White House Pink, Purple and Blue! I'm still settling in, back home to DFW from a wonderful time at the Annual White House LGBT Pride Month Reception (a mouthful!). It was very exciting, I am so happy to have been able to experience such an awesome excursion, it was just AMAZING. 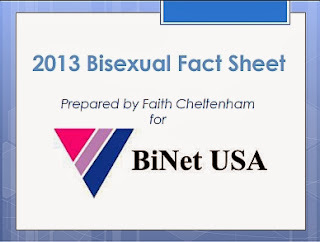 Taken from Lorain Hutchins website: "At the 2012 White Pride reception bisexuals were represented by a married couple, Emily Drennen and LindaSusan Ulrich, from San Francisco with their eight-week-old foster son; two current BiNet USA board members, Chiquita Violette and Morgan Goode; BOP co-chair, Lauren Beach; Westchester County NY bi discussion group leader, Estraven; and two longtime southern California bi activists from the board of the American Institute of Bisexuality; Denise Penn and Regina Reinhardt." ﻿﻿﻿﻿﻿﻿﻿﻿The first event I attended was the Briefing on Issues Impacting LGBTQ Youth. There are many issues they face, not limited to but including: substance abuse, mental health, child welfare and education and bullying. Very informative and comforting to see that our government is doing something to improve the lives of our LGBT youth. The panel was very passionate about their cause and each were working together, in different organizations but still interconnected and working for the same cause: bettering the lives of our youth, not just LGBT youth, but all American youth. While I was at the briefing, I encountered Ms. Nicole Maines, a transgender youth that I first read about not too long ago on Huffington Post written by her dad. His articles can be found here. When the briefing opened up for Q&A, her father, Wayne Maines, was one of the first inquiring about the issues transgendered children face in school and how to reach the parents of students to educate them. When I got the chance later on to speak with Nicole, she was very lovely and nice. I told her that I read about her story and how moved I was. She smiled, nodded but still had this sad look on her face. So I asked her if she needed a hug. She nodded. I gave her a hug and a pat on the back. It was very sweet. We didn't speak long but I wanted to express and show her that people outside her family care about her and her cause and issues.I also ran into fellow Dallas activist and film maker Robert Camina who did the documentary on the Rainbow Lounge Raid. A happy surprise to catch up with him! After the briefing, we (Emily and her wife Lindasusan, Morgan and I) headed downstairs to the Uncommon Cafe in the Eisenhower building for lunch with one of the panelists, David Mineta of ONDCP. What a treat to get up close and personal. He is very passionate about the nation's youth, especially when it comes to substance and alcohol abuse. Next we checked out the gift shop before starting on our way to the reception. By the time we reached the entrance to White House and were cleared to get in, we had caught up with Estraven and Lauren. There was nothing like walking into the White House. Everyone was so polite. "Welcome to the White House." at every turn. We explored as many rooms as possible, pausing in the ladies room for a mini photo-shoot, before heading upstairs where the reception was being held. What a sight! Music, champagne, wines and other beverages were being served along with delicious hors d'oeuvres. After filling up on the White House delights, we headed to the room in which the President would make his speech. It was filing up quickly so we ran up to get as close to the front as possible while an ocean of people began to fill the room. I was able to get close enough to the front to get a video (albeit shaky with background noises and commentary) of the President's speech. After his speech, he went down the rope and shook hands with eagerly extended hands. I got my handshake in while I quickly mentioned the ENDA and DREAM Act and their importance. We went out the the reception area for more drinks and appetizers to socialize, take photos and to really let the whole experience soak in. Shortly afterward, I heard cheers and clapping, people were forming a circle around someone on a bended knee making a proposal, it was pretty amazing! We lingered a little while longer for more White House exploration and photos before we headed to dinner at Rasoi Indian Kitchen. 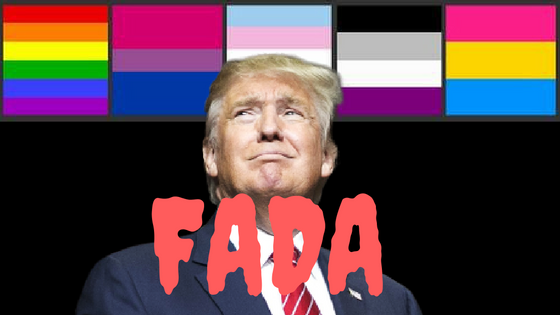 We met up with fellow activists Loraine Hutchins, Matthew Le Grant and John Craig to celebrate our experiences at the White House, the issues we face as bi/pan/fluid individuals and new ideas to help address these problems. All in all, it was a extremely awesome day, full of allure and excitement so much so that the feeling of elation was almost overwhelming. I wouldn't trade these experiences and memories for the world!